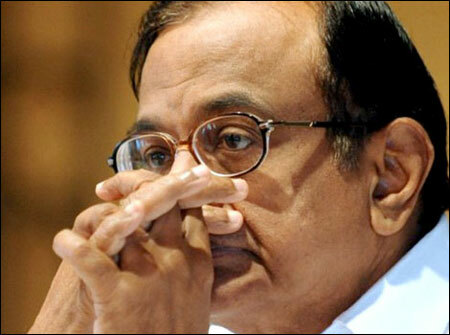 Chidambaram recently asked 13th Finance Commission chairman Vijay Kelkar and members Indira Rajaraman and Sanjiv Misra to suggest a path for fiscal consolidation. Even as Finance Minister P Chidambaram has set up a new panel to advise him on fiscal consolidation and indicated some tough decisions might be in store, experts say it is unlikely that the central government's fiscal deficit could be reined in at 5.1 per cent of gross domestic product for 2012-13, as estimated in the year's Budget. 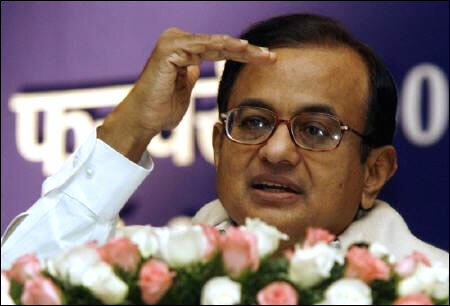 The deficit had zoomed to 5.7 per cent of GDP in 2011-12 against the 4.6 per cent estimated in that year's Budget. Economists say there aren't many options with the government at present, given the drought-like situation which would only spur its spending. More, with no government disinvestments so far, the revenue target would be hard to meet. These would be dented further, considering the estimates were made on the basis of a 7.6 per cent growth. 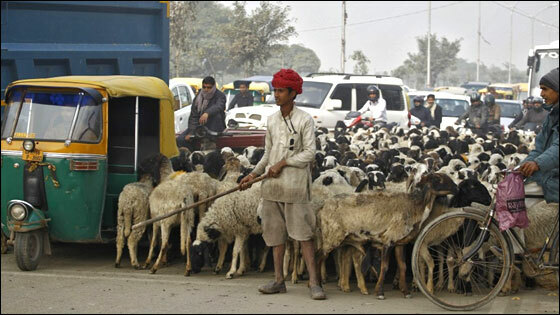 Today, everyone is talking of 5.5-6.5 per cent growth in 2012-13. The tax revenue target of Rs 7.71 lakh crore (Rs 7.71 trillion) for this year, representing a 22 per cent increase over the Rs 6.31 lakh crore (Rs 6.31 trillion) in 2011-12, might not be met as a result. Direct tax revenue (inclusive of refunds) grew just five per cent to Rs 1.39 lakh crore (Rs 1.39 trillion) in the first four months of 2012-13 against Rs 1.32 lakh crore (Rs 1.32 trillion) in the corresponding period of last year. However, due to frontloading of refunds last year, net direct tax collections grew a hefty 34 per cent to Rs 1.05 lakh crore (Rs 1.05 trillion) against Rs 78,679 crore (Rs 786.79 billion) over the period. 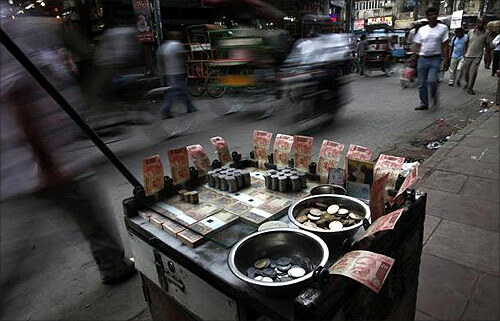 On the other hand, indirect tax collections in the first quarter rose 13.8 per cent to Rs 1.07 lakh crore (Rs 1.07 trillion), slower than the targeted 27 per cent growth for the entire year. However, the government might get some relief from the telecom spectrum sale. Revenues apart, the government is under pressure from the expenditure side as well. The fiscal deficit in the first four months of this financial year is already 37 per cent of what was estimated for all of 2012-13 in the Budget. "The MGNREGS (the rural jobs guarantee) expenditure target might also exceed, considering there is a drought in some parts," said Madan Sabnavis, chief economist, CARE Ratings. R V Kanoria, president of business chamber Ficci said MGNREGS should get directed towards creating assets such as roads. Sabnavis said a drought might also mean waiver of farm loans in affected areas, which would ultimately have to be paid by the government. The minimum support price for crops might also have to be raised. 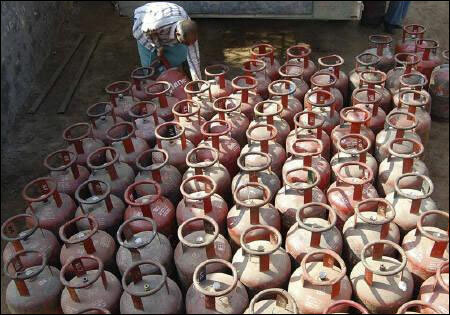 C Rangarajan, chairman of the Prime Minister's Economic Advisory Council, had suggested measures such as capping of number of subsidised cooking gas cylinders to each house. He said one needed to come up with innovative ways to manage or adjust subsidies. Earlier, the petroleum ministry had proposed capping the number of subsidised LPG cylinders to each household but this hasn't fructified. As crude oil prices go up, one part of the increase is picked up by the government, the other part by upstream oil marketing companies and just a third is passed on to consumers, if prices are increased. Kanoria said rationalisation of diesel subsidies needs to be looked at, as just 17 per cent of it is used by farmers. "One-time taxation of diesel cars can also be an option," he said. 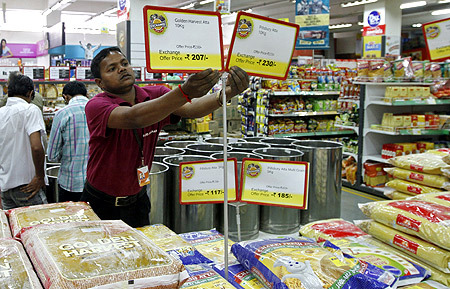 Image: A worker of a food superstore arranges price tags of the products inside a mall in the western Indian city of Ahmedabad. Decontrol of diesel prices remains on paper only, even after in-principle approval by the government. The Budget has estimated oil product subsidies at Rs 43,000 crore (Rs 430 billion) for this year, against Rs 68,000 crore (Rs 680 billion) in 2011-12. Reserve Bank governor D Subbaraao is learnt to have told Parliament's standing committee on finance that in case fuel subsidies were taken off, inflation would rise 2.6 percentage points. Kanoria said, "I certainly do not agree that inflation will go up by 2.6 per cent in case fuel subsidies are cut. I just cannot reconcile to that number."